This week, the European Parliament in Brussels suddenly looks a lot more colourful. 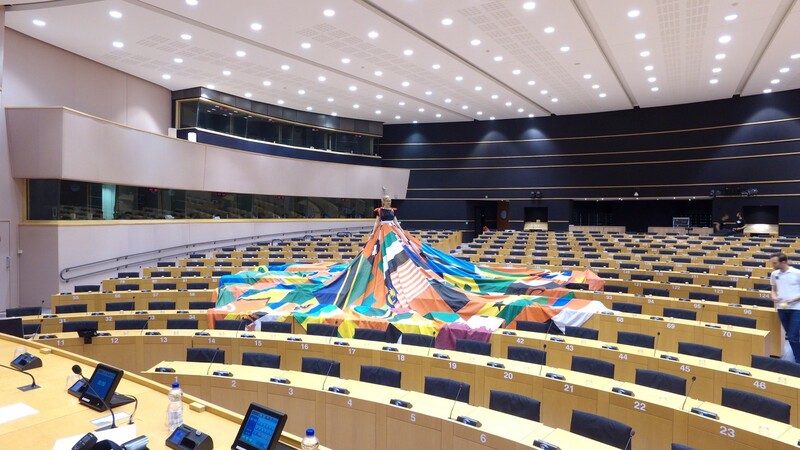 This is thanks to the 16 meter long ‘Rainbow Dress’, designed and made in Amsterdam from the flags of 75 countries (all outside the EU) where homosexuality is still punishable in 2018. 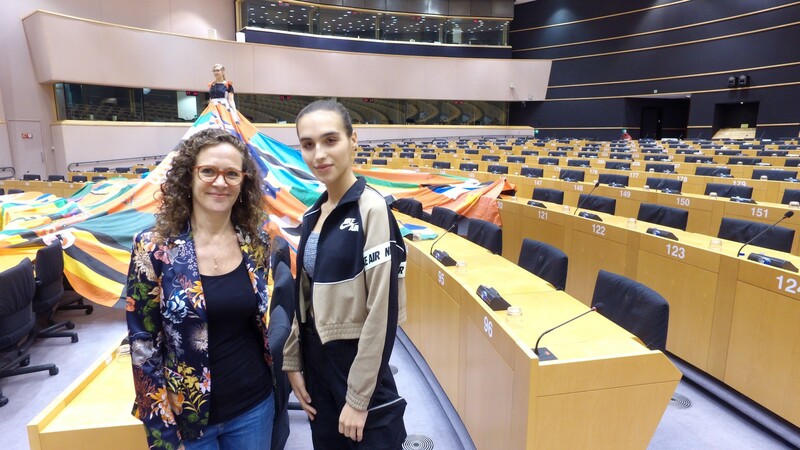 ALDE Group First Vice-President Sophie in ‘t Veld took the initiative to host the dress in the Parliament as a special way to celebrate the International Day Against Homophobia, Transphobia and Biphobia (IDAHOTB, May 17). The Rainbow dress, a statement in itself, is taking Europe by storm. 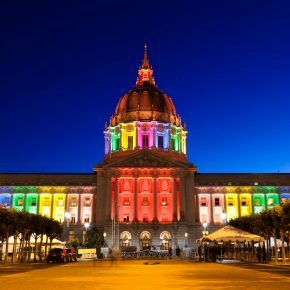 “After Brussels, Madrid and Athens will be on the agenda followed by other capitals” — says Arnout van Krimpen from the Amsterdam Rainbow Dress Foundation. He thinks kicking of the tour in Brussels is an excellent start “Because here, in the heart of European democracy, is where policy is made. 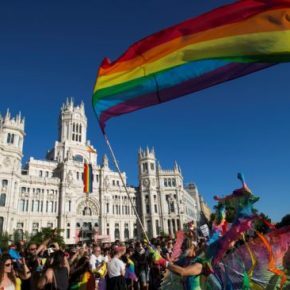 The Netherlands has always been very progressive when it comes to LGBTI rights but acceptance often remains limited to the big cities, with the rest of the country lagging behind.” The dress itself is the living example of the change that the community strives for, because as soon as a country gets homosexuality out of criminal law, its national flag makes way for the rainbow flag. More than just a simple exhibition, the organisers also thought of a special photo shoot to spice things up. On Tuesday the dress was worn by transgender model Maxim Magnus (20) who said the action was artistic and political at the same time with an important message to the wider community about acceptance. “I am convinced that even in our immediate environment, there are still heaps of work to be done in terms of changing attitudes, especially when it comes to accepting transgender people for who they are, for who they want to be” — she said. “I’m not very nationalistic, but now my heart is beating just a little faster. I’m delighted that this dress from Amsterdam got such a prominent place here in the Parliament this week. It is also quite funny that flags, normally the symbol of nationalism, are now being used to convey a message of diversity and equality” — she added.